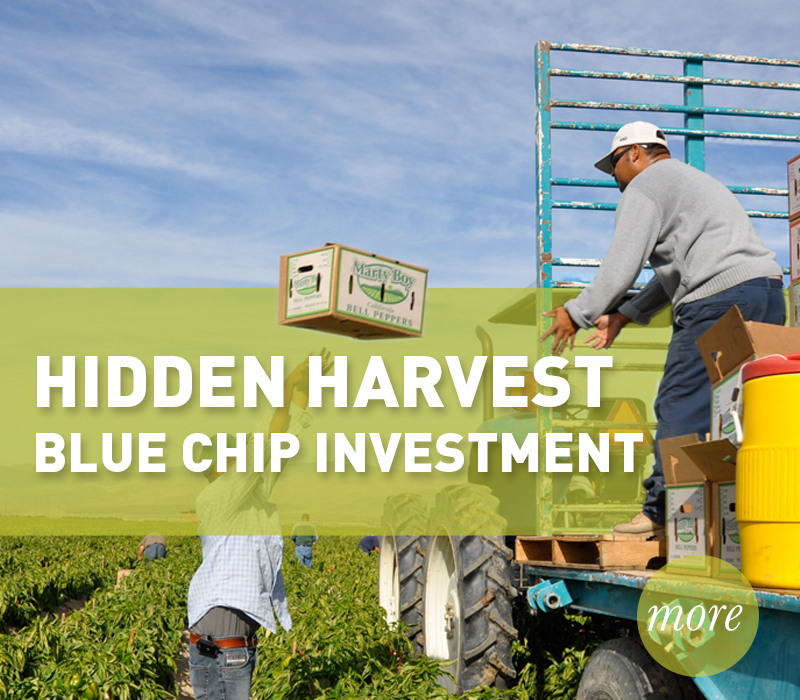 Hidden Harvest is a produce ­recovery pro­gram­ that e­m­ploys l­o­w income farm workers to "rescue" produce that is left behind in the fields and orchards aft­er harvest. Millions of pounds of produce a­re left for a variety of reasons —­ cosmetic blemishes, overproduction, dwindling market price. We also recover many hundreds of thousands of pounds of produce each year from area packing houses. This fresh and nutritious produce reaches nearly 50,000 needy people throughout Coachella Valley each month through our client agencies and our own programs. See how the Hidden Harvest model rescues produce and works to feed the hungry at the same time. The Coachella Valley is one of the largest agricultural regions in the nation. Yet few people realize that millions of pounds of nutritious, locally-grown produce are left behind in packing houses and in the fields after the harvest is complete. Our win-win solution gives millions of vegetables and fruits a second life and thousands of families a healthy meal -- while employing the working poor. One hundred percent of Hidden Harvest's administrative costs are raised by our generous and committed board of directors. That means every dollar donated to Hidden Harvest by the general public or through foundation grants goes directly toward our services. All of our programs/aspects and activities are part of the whole – gathering and distributing fresh, local produce to fight hunger, obesity and diabetes among our most at risk populations. All of Hidden Harvest programs are integrated, creative efforts that put forth a cohesive, community effort that not only fights hunger but obesity and disease as well. Since 2001 Hidden Harvest has harvested over 14 million pounds of fresh, surplus crops from Coachella Valley fields and local packing houses. All this "rescued" produce has been distributed to nearly 50,000 people every month through our own programs and via more than 60 partner agencies that serve low-income families. Click to look through some of our accomplishments. March – Spring crops are in at the HH/CVHS Farm! Persian melons, cucumbers and summer squash planted under plastic row cover. January – HH Executive Director, Christy Porter sits on a discussion panel at the 2013 Clinton Foundation Health Matters Conference. Later President Bill Clinton pays a visit to Hidden Harvest Headquarters! NBC film crews were also filming a segment for NBC Nightly News, with Dr. Nancy Snyderman reporting on health issues and the importance of healthy food access for everyone. September – Hidden Harvest and CV High School join forces to bring the CVHS farm back into production with the intention of creating a model teaching farm where Agriculture Education students, Culinary Arts students, FFA and 4-H students will have hands on, practical experience in all phases of a small farm and fresh food production, while providing a source of fresh produce for Hidden Harvest to distribute to agencies serving families in need. First crops planted at CV High School Farm with help from Ag students. December – In our newest out-of-the-box idea to acquire more produce for our clients, HH partners with a generous local small farmer in a Grow Our Own project. Our farm partner “gave” us four rows to plant, maintain and harvest our own produce and he would supply the water and fertilizer. We grew and harvested broccoli on our four rows. The project was a positive first step in our quest for a more predictable supply of produce. November - Hidden Harvest is on TV again! November 18, 2012, CBS Sunday Morning News with Charles Osgood in a segment about food waste in America. Click here to view our full timeline of What We've Done. Hidden Harvest is constantly adapting and evolving as we seek new ways to serve our community. We credit this active and innovative approach for allowing us to foster education, empower individuals and improve the overall health of those we serve. Hidden Harvest has many exciting opportunities in the days ahead! As we concentrate even more on improving the health of the Coachella Valley's most vulnerable through the acquisition and free distribution of our local Coachella Valley produce. You can support Hidden Harvest by volunteering your time or donating to the cause. As always every dollar donated goes directly towards our services.